Why it matters: Check out the photo above. 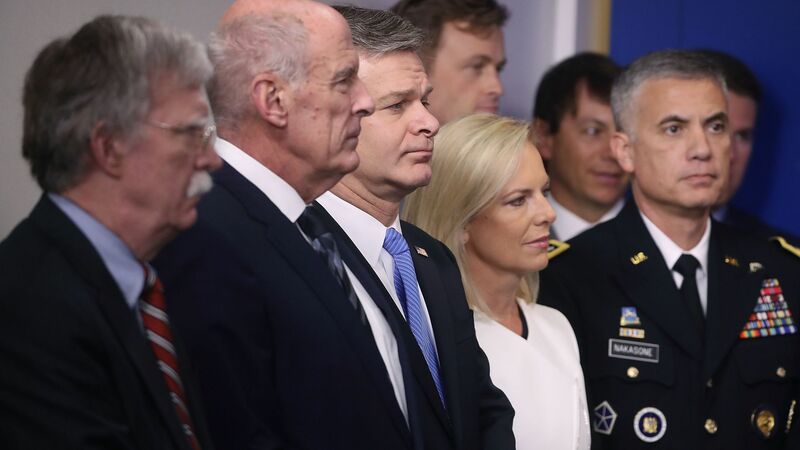 Rarely do you publicly see this many national-security officials in one place. And it's even rarer for it to be in the White House briefing room, where most of the daily jousting is over inches.